Former Director of News at Channel Nine Melbourne, John Sorell, has died, following a heart attack, aged 71. 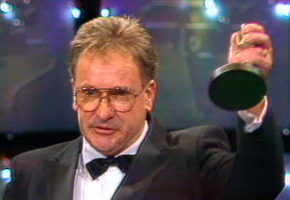 Sorell was GTV9’s news director for 28 years, notably during the era of newsreaders Brian Naylor and Sir Eric Pearce. Sorell was instrumental in wooing Naylor from Seven to Nine in 1978. “If you cant beat them, poach them,” he was reported as saying. Following the recent death of Brian Naylor, Sorell wrote an obituary for the Herald Sun: But we had our moments. Once he said publicly that news reading was a “pretty boring job”. I was upset and described Brian as a “good-looking man who smelled nice”. This was pretty stupid of me. Naylor was appalled and so was management. For a fortnight we didn’t speak. He’d shut his office on arrival and I’d pass the scripts under the door. In the end he was very gracious, we shook hands, had a beer and the incident was forgotten. Sorell started his career at the Hobart Mercury in 1955. Prior to working for Nine he had written for Melbourne’s Herald and Observer newspapers but was wooed by the Packer family to Nine in the mid 1970s. He was a dual Walkley Award winner, one of which was awarded for an exclusive interview with deposed Prime Minister John Gorton. “Seems that nobody could get to him,” Sorell once said. “I just rang him up at The Lodge and got through to him. The interview was held beside the pool at The Lodge, and beat all the competitors by a day. John Sorell retired from Nine in 2003. GTV9 opened its news bulletin this evening with a tribute, introduced by newsreader Jo Hall, who, fighting back tears, acknowledged her start in television news from an appointment by Sorell. He is survived by his wife and three children and eight grandchildren. John Sorell and Brian Naylor were the keys to Nine’s dominance in news in Melbourne through the 1980s (apart from 1986 and 1987 when Ten won the ratings), the 1990s and the early 2000s. Their successes are unlikely to be replicated in the future by Nine, or by another network.